Recyclable 750ml drink bottle manufactured from Tritan which is also dishwasher safe, odour resistant and BPA free. 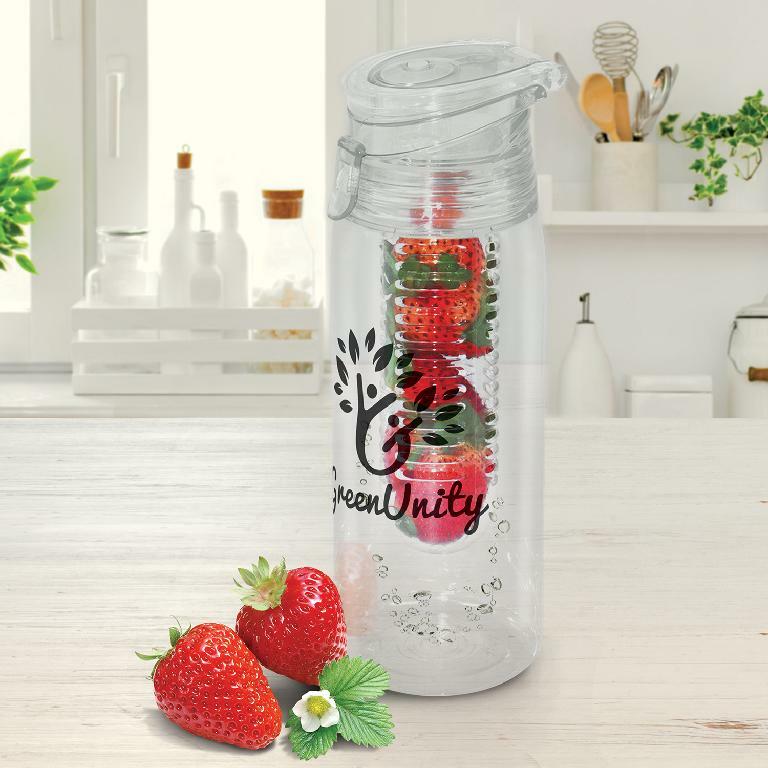 Infusion has a unique internal cartridge which is easily removed and filled with sliced fruit to provide a healthy infused water flavouring. It can also be filled with ice cubes to keep water cool for longer. 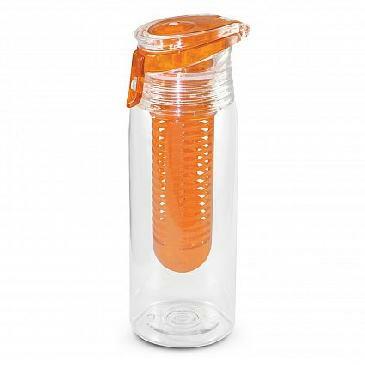 The flip top lid has a locking silicone seal along with a fold away carry handle and an optional gift box is available.